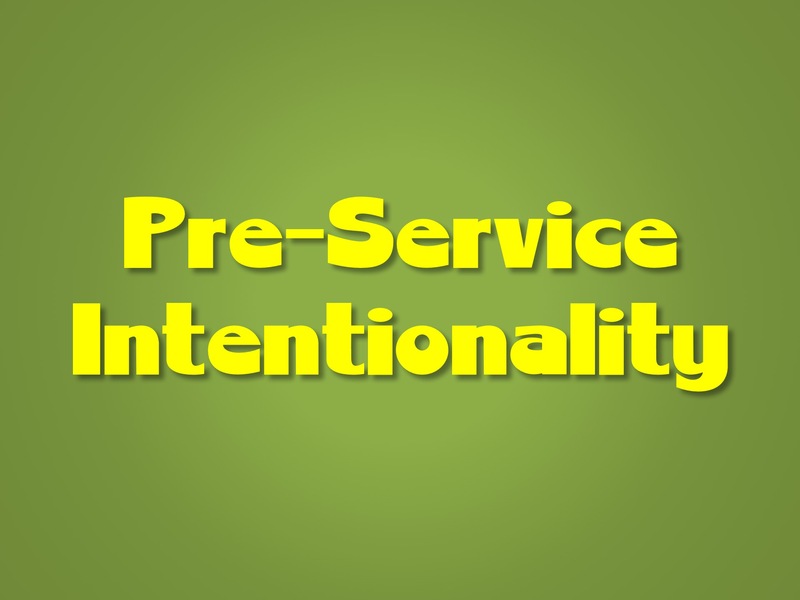 Are you intentional with the time you have with the kids before your children's ministry starts? The 15-30 minutes you have with kids before you start is one of the best times to connect with kids. Here's how to make pre-service a profitable time with the kids. Cast vision with your team. Ask them to be in place before the kids start arriving. I know what you are thinking. You're thinking "I can barely get them to show up at service time." When people are passionate about something, they will get there early. Emphasize the difference they can make before service even begins. Have fun, interactive games in place. Kids love games and pre-service time provides a great opportunity for volunteers to engage them with a game. While we are talking about pre-service games, let's talk about what kind of games you should use. I do not recommend having video games set up. Never thought I'd be typing that but I am. Here's why. Today's kids have access to video games 24/7. They probably played video games on the way to church on a phone or tablet. So video games at church are no longer a big appeal to kids. But what is appealing are the old school board games. Checkers. Scrabble. Sorry. Connect 4? Guess Who? Candy Land to name a few. Puzzles are also good. Get your volunteers involved in board games with the kids. Have active games ready. Depending on how much room you have, high-energy games get kids moving. Foosball. 4 corners. Hula hoops. Have crafts available so kids can design things like bracelets, ornaments, etc. Have art set up for the kids to show their creativity. Coloring papers. Drawing. Crayons. Markers. etc. Have mission projects set up. Writing letters to missionaries. Cards for kids and parents who are in the hospital. Letters of appreciation for local fire fighters, policemen, parents, etc. The time we have to influence children is very limited. That's why every minute matters. It is crucial that volunteers engage with and invest in the children during the pre-service time. When they do, here is what will happen. When class/service starts, the children will be much more engaged with the volunteers. Why? Because the volunteers spent time with them. When volunteers spend time with kids before service starts. Just hanging out. Talking. Having fun. It opens the children's heart to listen and talk and share with the volunteers during the class/service. Time spent before the class/service with kids will enhance the time you have with the kids during the class/service. The best place you can be before service is not at a red light, fractionally looking at the lesson for the first time on the way to church. And it's not sitting in a back corner in the room, looking over your notes. And it's not hanging out and talking in the back with other volunteers while the worship leader is encouraging the kids to sing and worship. The best place you can be...the most impacting place you can be...is with the kids. Your turn to share. What do you for pre-service time? How do you engage kids and spend time with them before class/service? Share your thoughts and insight in the comment section below.